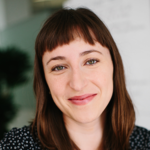 Johanna works with CLUA’s member foundations and Initiative teams on strategic planning, monitoring frameworks, and funder analyses to facilitate robust strategic and organizational planning. She additionally manages CLUA’s development efforts, building partnerships with aligned and member foundations, as well as with key partners and government agencies. Prior to CLUA, Johanna held clinical and field research positions at UCSF, Harvard Forest, and Cornell University, as well as researched land use conflict in Tanzania with the School for Field Studies. She has also engaged with the Student Conservation Association for over a decade, working in various field leadership positions and serving on SCA’s Alumni Council. Johanna holds a B.A. in biology with minors in chemistry and dance from Oberlin College.